Sandra comes from a family of beadmakers. Her mother Michelle Jameson taught her to make handmade beads and Michelle's aunt, Lillie Jameson, taught Michelle to make beads. These are fine handmade beads with a satin finish. 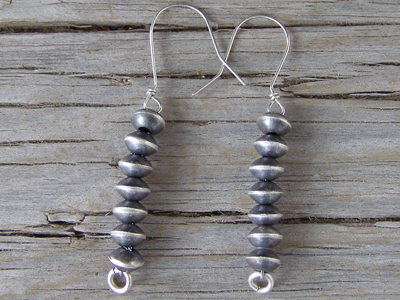 Seven beads on each earring swinging freely from handmade hooks.